Although the cotton industry in South Africa has been on the path to recovery for the past few years, GroCapital’s involvement started in 2015 when it financed Organimark (Pty) Ltd, which plays a critical role in linking producers with manufacturers through the Sustainable Cotton Cluster (SCC). The cluster is an initiative of Cotton SA, Government and like-minded cotton industry value chain stakeholders, aiming to create an enabling environment for cotton producers and manufacturers to supply local and international customers with fully traceable and sustainable cotton products. This revival of the industry has also brought about improved transparencies in the value chain from farmer to garment retailer. Most importantly though, it has enabled price stability and increased local offtake, which in turn has fueled production and processing efficiencies throughout the value chain. An example is the recently-introduced Better Cotton Initiative (BCI) Assurance Programme, enabling traceability from garment to the farm of origin. Growth is further evident in the increased number of hectares being planted, as well as the drive towards improved technologies, especially in the harvesting, hauling and transport nodes of the value chain. The 2016/17 season is projected to yield the biggest seed cotton crop since 2004/5 at 18 599 hectares planted. This represents, respectively, an increase of 19% in irrigated hectares and a mammoth 364% increase in dryland hectares compared to the 2015/16 season, and will result in a 64% increase in lint bales from the previous season. Production under irrigation has been stable at 4 – 5 tons / ha while dryland yields have almost doubled to 1 ton / ha. It should be noted though that dryland yields are much more prone to drought conditions as this cotton is purely rain-fed. Local lint prices have benefitted from the above dynamics over the past few years, increasing from about R16.50/kg in January 2015 to R23,27/kg as at 1 August 2017. Cotton seed as a by-product of ginning is also stretching beyond conventional uses, such as oilcake in animal feeds and seed oil in various commercial products, with the seed oil now being considered as an alternate renewable fuel source. And although commercial viability was not included, a recent study revealed that unrefined cottonseed oil is indeed a feasible source of kerosene/paraffin, offering an environmentally-friendly alternative to fossil fuels. 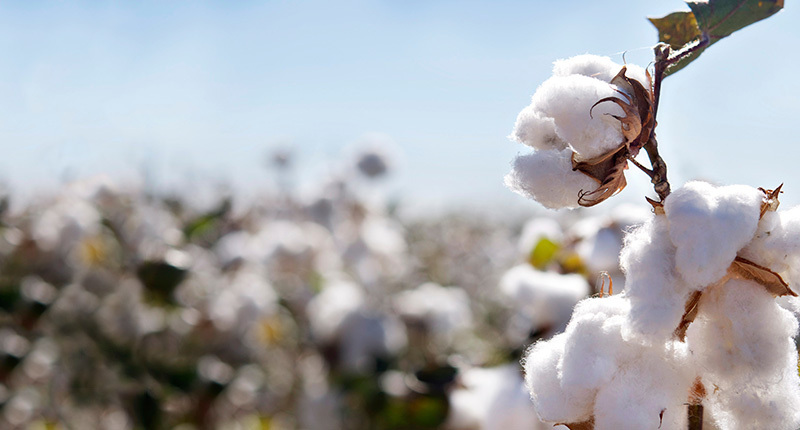 Thus, the strategic positioning of GroCapital as a credit provider to the cotton cluster places it at the forefront of the ever-expanding future potential of the cotton industry in South Africa.